This week, on our weekly news roundup: information suggests that the S10’s in-display fingerprint sensor may not work with a screen protector, Galaxy M series comes up with a notch, and more! So, this render leak of the LG G8 came out yesterday and people immediately jumped on to criticize the fact that it has a notch and a noticeable chin. We’ve got two things to talk about here. For once, it seems like the notch is becoming a dying trend now since most of you suddenly clearly dislike it. This could have something to do with the fact that we’ve seen somewhat better solutions for thin bezels now like sliding designs and Samsung’s Infinity-O display. Secondly, the G8 render is fake news. Ken Hong, head of LG, mentioned that this is fake. He didn’t specify if it’s another phone, a prototype, or something completely made up and fake. All things considered, chances are that it’s a prototype of another phone. After all, who is going to go through the effort of designing a made-up LG phone just for saying that it’s the LG G8? There’s too much effort and zero profit. In any case, if you didn’t know before, now you do. According to Mr. Ken, this is not the LG G8. We’ll let you know if we find out anything else. 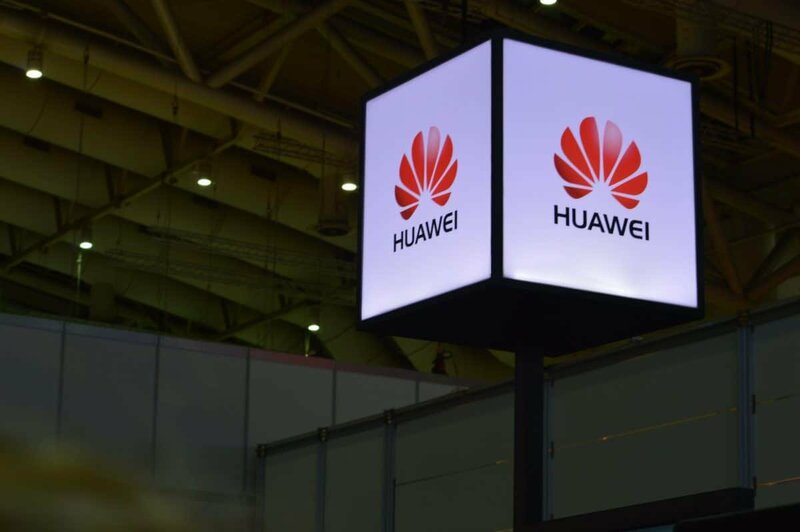 The US government has mentioned numerous times that Chinese phone manufacturers like Huawei and ZTE are international security threats. Why? Apparently, they’ve got open a few security backdoors open on purpose so that they’ll be able to collect data from their users; aka spy on them. All so that China can get that juicy personal data from people all over the world. Huawei has previously denied these claims. Furthermore, there is no evidence whatsoever to back these words up. In fact, quite the opposite. Chinese firms like Huawei and Xiaomi are known for being extremely strict with encryption and security standards. We don’t know just how much of damage this will cause for Huawei because they’ve got Kirin; their own chipset. They probably still need parts from Broadcom, though, which is based in the US. 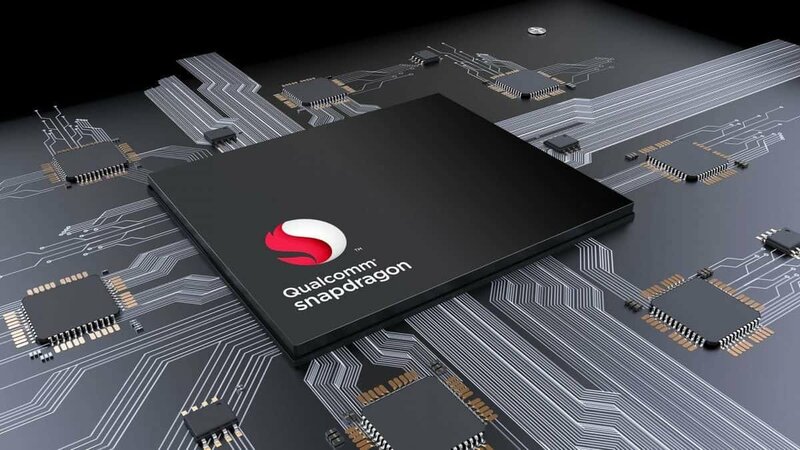 But, we can most certainly assume that this is going to be a disaster for companies like Xiaomi as they are heavily based on Qualcomm for their chipsets. There’s still Mediatek, which is not based in the US. But, it’s no secret that their chipsets are somewhat worse compared to Qualcomm’s. When everything is said and done, all we can do is sit back and speculate. 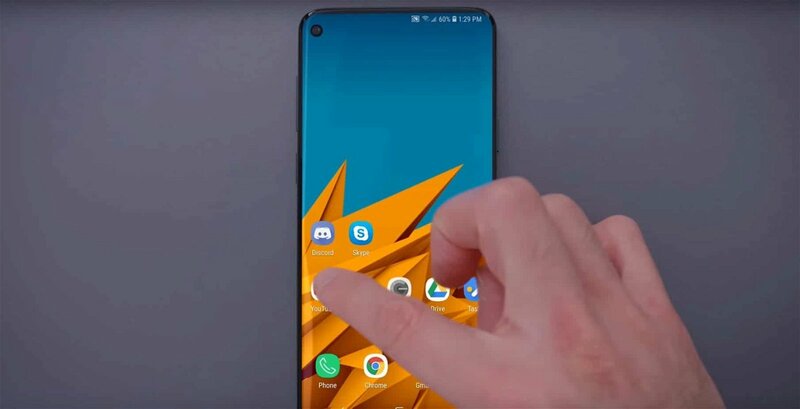 Reportedly, Armadillotek; a company which makes screen protectors and protective cases mentioned that they got their hands on an actual Galaxy S10 device. However, what they soon discovered is that the in-display fingerprint sensor doesn’t work when a screen protector is covering it. If the same thing goes for all screen protectors, then this is definitely bad news. After all, the Galaxy S10 will almost definitely be a flagship device which means a premium price. It would be a shame if you can’t protect your super expensive phone. Either that or you must give up the fingerprint sensor and go back to the days of pings, gestures, and passwords. Maybe face-unlock at best. Still, we don’t know for sure if that goes only for the screen protectors of Armadillotek or if it applies to every kind of screen protector in general. Cause if it does, then we can only hope that Samsung will take care to armor their device right out of the box a little. Also, one more thing. The S10 recently passed the 3C approval process in China which reveals a bit of information about the device. Thanks to that, we now know that the S10 series is going to have the same charing specs with the Note 9 and the S9 series. This may be a bummer for those who were expecting faster charging speeds with the next generation. But, to be fair, our current charging speeds are great as they are already. 64-bit processors and apps are nothing new on Android – we’ve had those for a while now. However, the fact that Google is slowly moving over to 64-bit only is something new for sure. To be more precise, starting from the upcoming August, all 32-bit apps must provide a 64-version as well. Google will continue to accept 32-bit updates to games that use Unity 5.6 or older until August 2021. Starting from August 2021, Google will stop delivering non-64-bit apps to compliant devices. This means that if you’re planning on using a 32-bit phone until 2021 or even until this summer, there is a chance that you may be in trouble. Why? Well, as both hardware and software are being moved onto 64-bit, chances are that developers will stop caring about making 32-bit versions of their apps. Do keep in mind that no changes have been made to 32-bit support. Your 32-bit device will still be able to download and install supported apps from the Play Store. But, chances are that developers will stop caring for the minority. So, after a certain point, all updates to existing apps and new apps will likely focus on 64-bit only. If you own a 64-bit device, then pretty much nothing will change for you. If you’re a 32-bit user, then you’ll soon notice that you won’t be getting as many updates anymore and that newer apps won’t be available for your phone. So, maybe it’s time to consider an upgrade. Do keep in mind that this does not apply to Wear OS devices and Android TVs as most of them are restricted to 32-bit anyway. More rumors about the S10 series are still coming out. This time, we’ve got information on another variant which is called Samsung Galaxy S10 X. 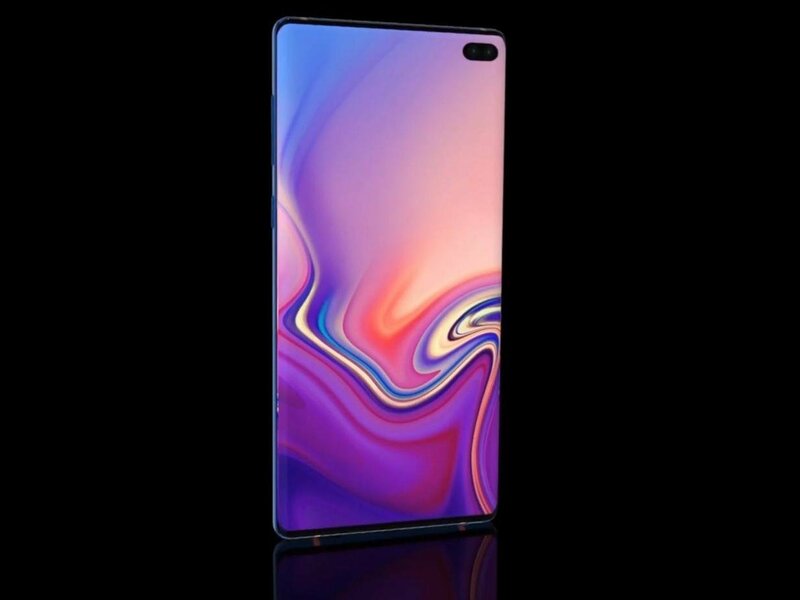 This model will have 5G support, a Super AMOLED display at 6.7 inches, 4 rear cameras and a dual-selfie shooter, 10 to 12 gigs of RAM, up to a terabyte of storage, and a 5,000 mAh battery. What’s more outstanding is the price of this phone which is estimated to range between the $1400-1600 zone. The rest of the models are going to be cheaper with the cheapest one going at about $700. What? We did mention that the S10 was going to be a premium model. Furthermore, the most powerful S10 variant is expected to sport Samsung’s new Exynos processor. Does all of that mean that it’s worthy of spending $1600? Who knows? Let us know your opinion in the comments section. Still, the good news is that if you don’t like this option, you can always settle for one of the other variants that are cheaper and are somewhat more reasonably/flagship priced. The most expensive S10 model is expected to launch at Korea on March 29. That’s because Korea is one of the first countries to employ 5G. We assume that the phone will be available internationally after a certain point. 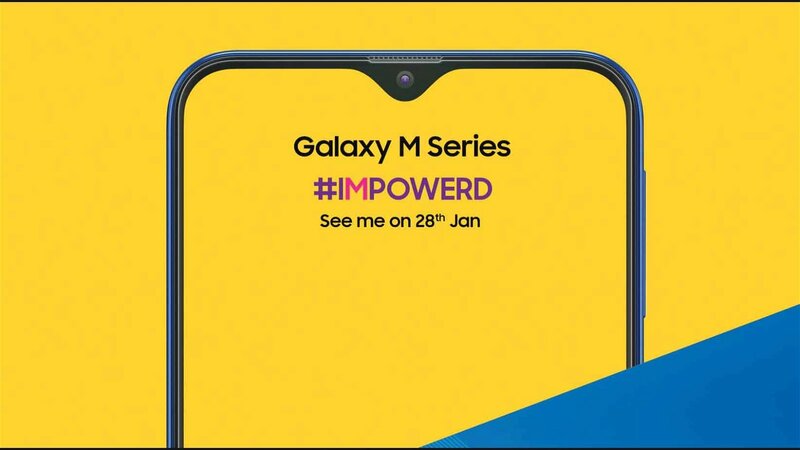 Samsung recently released this teaser of the Galaxy M series. As you can see in the image above, it’s the first Samsung series to ever sport the notch as we more or less know it. The main difference is that this is a waterdrop notch. Other than that, we can safely assume that this is actually the Infinity-V display from Samsung. It’s still a notch, though. You can see that it has very thin bezels, comes with a dual rear camera, a traditional fingerprint sensor in the back, and a headphone jack. Furthermore, we already know that it’s going to support fast charging. Rumor has it that this is will be an affordable series and Samsung’s response to the budget competition from manufacturers like Xiaomi and Huawei. Only time will tell if that’s true. Speaking of time, Samsung is officially going to announce this series in the 28th of January. Chances are that we’re going to be there as well. So, stay tuned. Like what you see? Then don’t forget to share this article with your friends and follow us on Facebook and Twitter for the latest news, reviews, listicles, apps, games, devices, how-to guides, and more!